I never thought of myself as a picture book writer, but this June all that changes. TÍA ISA WANTS A CAR (Candlewick Press) will be in bookstores. It’s the story of a girl and her favorite aunt working together to buy the first family car. I wrote the text when I was in between novels and needed to play with words for a while to clear my mind. 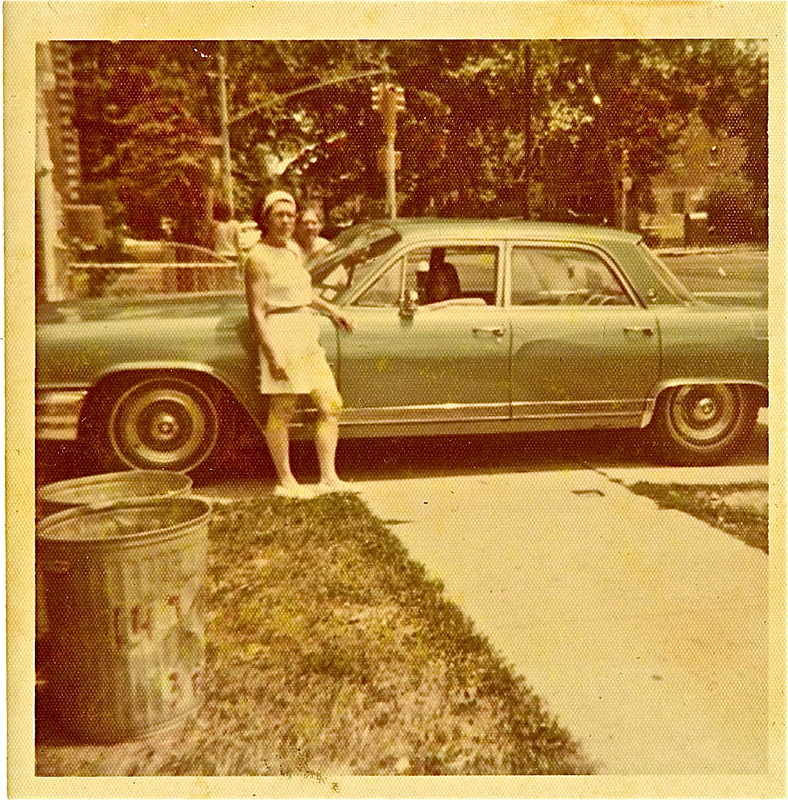 I’d been thinking about my aunt and our first family car – an old Buick Wildcat. It was a dented heap that never wanted to start, and it stalled at the most inconvenient times – like in the middle of a u-turn with on-coming traffic. Truth is, though, that the car was only half the trouble. My aunt – the real tía Isa – was a lousy driver. She’d arrived in this country in 1968, having completed a year of required labor in Cuba’s sugar cane fields to earn her way off that island. Maybe as the result of all she’d been through during the revolution (or maybe just because she was cursed with “anxious genes” as is common in my clan), tía Isa was a ball of nerves, filled with ticks and odd habits that sometimes frightened me as a kid. Her jumpy lip always reminded me of a bunny’s. In any case, when she came home one day with her driver’s license, the family was shocked but grateful for the milagro. A car – even an old jalopy like the Wildcat — opened up so many new possibilities that all we could do was celebrate. Naturally, she was a disaster at the wheel from the word vamos, slamming on the brakes at the slightest provocation. (The rosary she kept twined around the rearview mirror became a true eye hazard.) She got lost in our own neighborhood and never cranked over 30 MPH, even on highways. Other drivers would shake their fists and give her the finger as I slouched in the seat beside her. 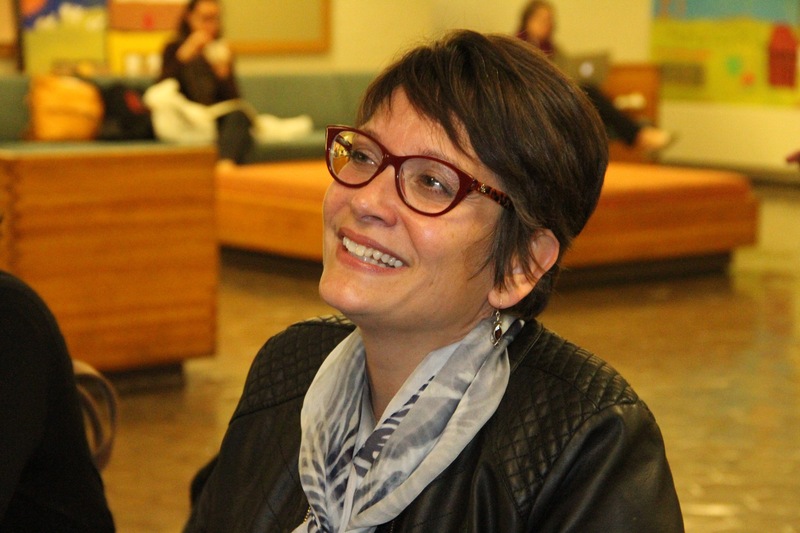 It’s funny then, that when I sat down to play with words and find a story for strong girls, it was somehow tía Isa who came to mind – or at least the kernel of the real tía Isa. Maybe the irony was just too irresistible. She was, after all, the least likely woman in our family to take charge of something as important as our means of getting around in the world. Sadly, tía Isa is weighing heavily on my mind these days. Two weeks ago, I had to rush to Ft. Lauderdale, where she suffered a massive stroke at home that has left her bedridden, an arm and leg floppy and useless. In all the unspeakable sadness of these weeks, one of the things I especially regret is that she won’t be here in Richmond when total strangers will gather at a little bookstore to help celebrate her. I think of her almost every instant, hoping that I’ll have the chance to thank her for all she did for me as a little girl, not the least of which was showing me that anyone can get behind the wheel of her own life if she really wants it. Meg, you, the real, and the fictional Tia Isa are in my thoughts these days. I love your tributes to Isa in this post and your upcoming picture book. Can’t wait to join you at the little bookstore. Tia Isa will live on in your words, our reading of those words, and our memories as we link people we love with Tia Isa. I can’t wait to read this. I love the irony of a woman scared to death of driving would shephard the family into a new world. Many thanks in advance for telling her story. Perhaps, one day, you will tell it again in a novel. My heart goes out to you, Meg, as you struggle with pending loss. What a lovely post, Meg. I was so sad to hear about tia Isa–I feel like I know her now–but glad that she has family like you to care for her. The book and this post are a lovely tribute to her spirit. All my best to you and Isa.